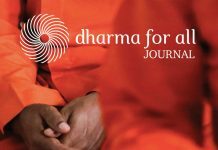 Dharma is a central point of the philosophy of Shri Shri Anandamurti. It is, according to him, the intrinsic nature of all objects, animate or inanimate. In the case of human beings, their nature is to move toward the Cosmic Entity. Dharma pracar is the transformation of this deep desire of each being, of each spiritual aspirant (who fights inwardly and outwardly to establish himself in dharma) into concrete actions in society, actions that inspire other beings and spread the spiritual ideology. 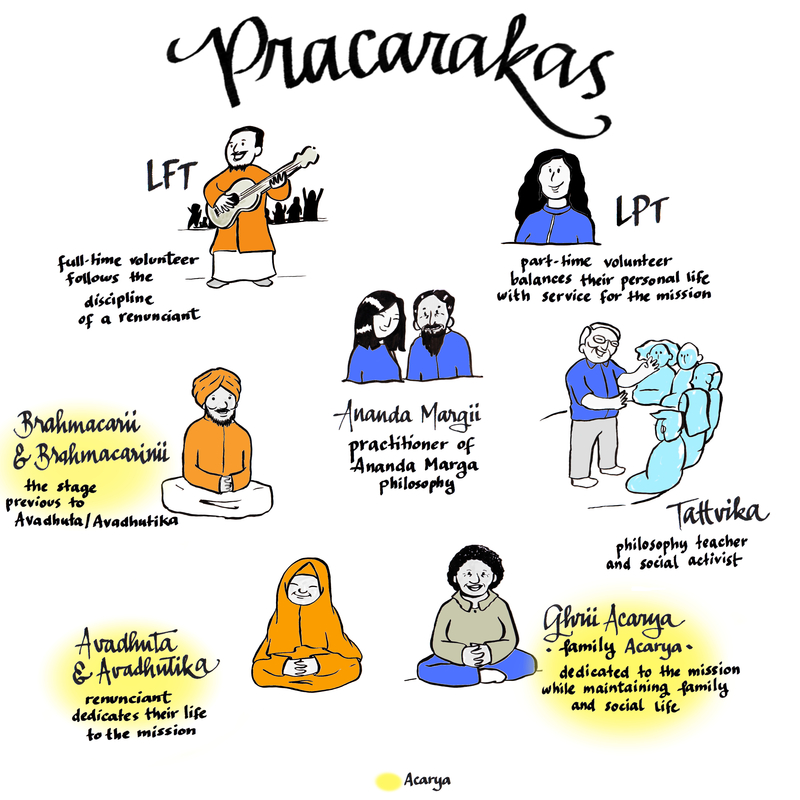 People who perform dharma pracar are known as pracarakas and can act in different roles, so that others can enter the virtuous cycle of bliss, self-realization and service to humanity. In the first part of this series, we will learn the main aspects of each of these roles. Ananda Margii: Every practitioner of the ideology of Ananda Marga who propagates that ideology through his personal example and his social actions. In this way, they inspire others to want to spiritually elevate themselves, whether by practicing meditation, yoga, adopting a subtle diet, or through other aspects of the ideology. LPT – local part-timer: perform volunteer work, balancing their time between their personal life and supporting the development of the mission. 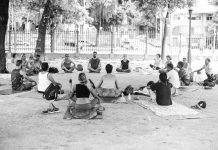 LFT – local fulltimer: an initial experience as a renunciate; works full time outside his own city with an acarya. Tattvika: family person who inspires by his ethical conduct. 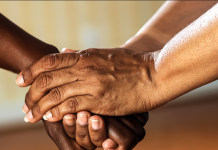 Their tasks are directed toward collective development and have two main focuses: intellectual (teaching the various aspects of the Ananda Marga philosophy) and practical (helping during natural disasters, for women’s welfare, and socioeconomic reform). You can also teach basic meditation. 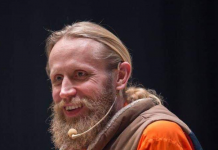 (a) Sannyasi (monk/nun, WT – Wholetimer): renounces their personal, social and family life in order to dedicate themselves full-time to the mission. They pursue their work in countries far from their place of origin. 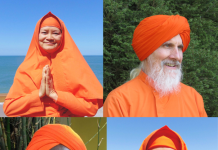 In the first phase of their training they receive the name of brahmacarii/brahmacarinii (men/women) and they wear white and orange. After a few years of dedication, they receive a special lesson (kapalika) and begin to wear the full uniform orange. From then on, they are called avadhuta/avadhutika (men/women) and are committed to working for mission and ideology until the last being becomes enlightened. (b) Grhii acarya (family acarya): fully dedicated to spiritual ideology, while at the same time maintaining a family and a professional life. In the next parts of this series you will be able to learn more about each of these different pracar roles through more details and testimonials. Previous articleWho we are and what does this have to do with you!